If you are a teacher librarian, I know you are always learning about new ideas, skills, and ways of doing things that can enhance learning, engagement, and/or efficiency for students and teachers alike. But, it’s frequently a challenge finding the opportunities to share all we want to with either group. 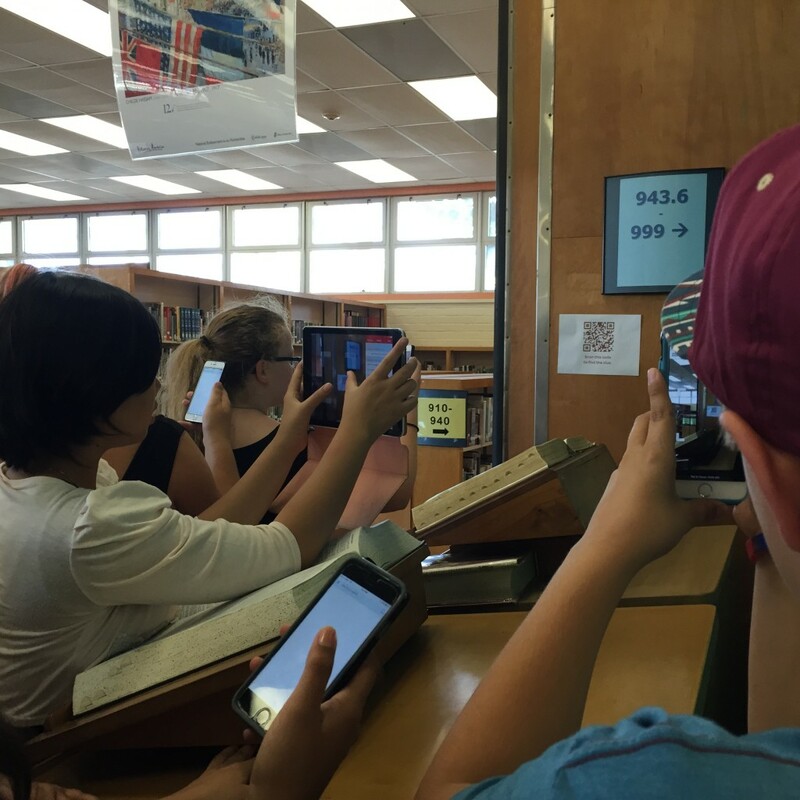 One way to expose both students and teachers to new concepts and skills simultaneously, thus getting double mileage from the time, is to introduce them during library orientations. Here’s an example from my high school library. When I attended a Google Teacher Academy in Summer 2014, I got to preview Google Classroom, which was about to be introduced that Fall. I wanted my teachers to learn about it and consider using it with their students. 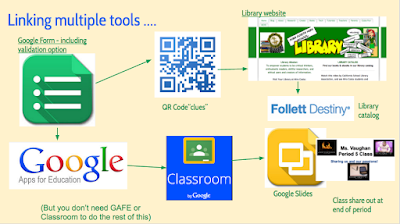 Also at that time, we all had access to GAFE accounts in my district, but there was no policy requiring that either students or teachers use them. Most teachers and students alike still used personal Gmail accounts, making sharing documents and communications much more challenging. 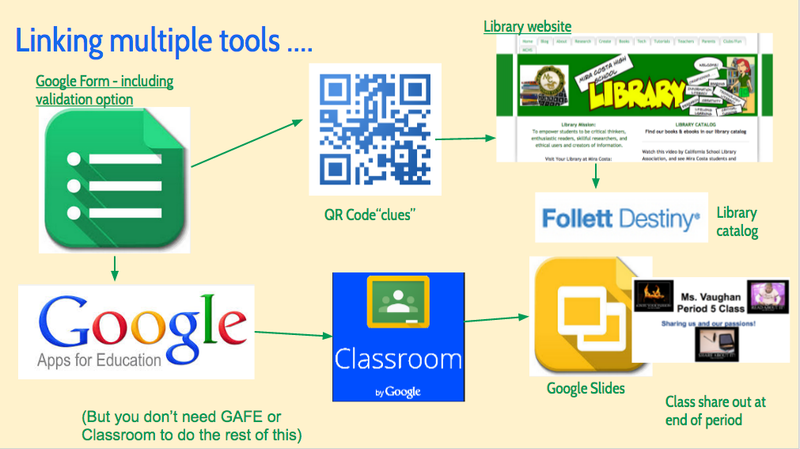 I wanted to make sure both students and teachers knew about their GAFE accounts. So, I incorporated both logging into their GAFE accounts and a Google Classroom I set up into the Freshman students orientation. And, just in case some of my teachers were tempted to use the time for their own work instead of participating or paying attention, I included a “share out” at the end and made several announcements to each class that their teacher would be wanting to see their great work. 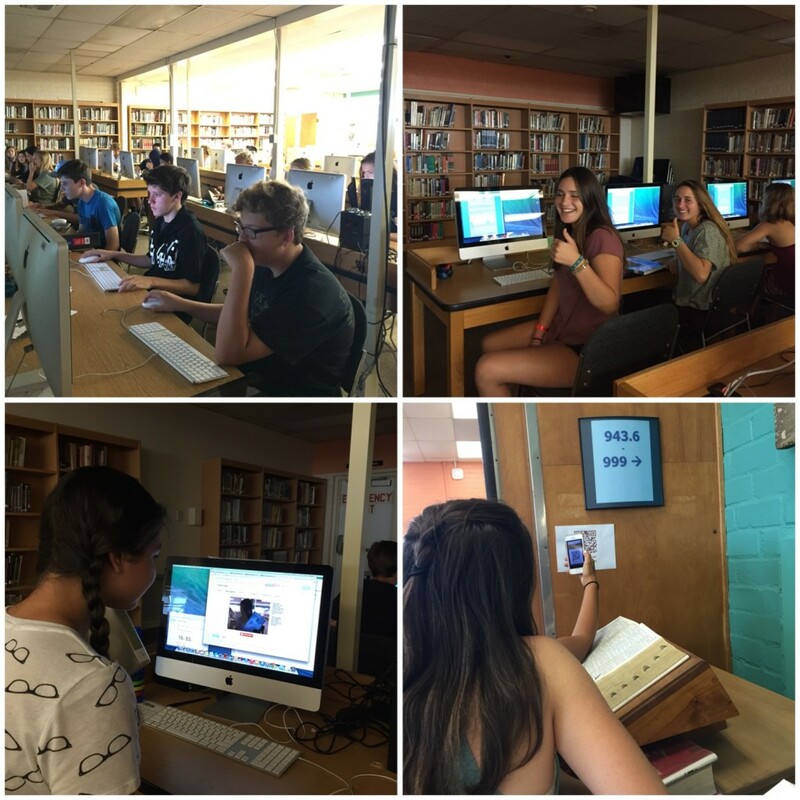 All the activities were set out in a Google Form, which walked students through using our library website, library catalog, and QR codes; browsing the shelves; accessing Google Apps for Education accounts, Google Classroom, and Google Slides; and culminated with students each sharing a slide they created within a shared Google class slideshow. Their slides each shared something they were passionate about and book they found that could contribute to that interest I also incorporated validation into the Google Form so that for the couple of questions that had specific correct answers, the students would have to persist until they got them right. I provided very minimal instruction at the beginning and focused on empowering them to work together and read instructions to learn about all these tools and progress independently. And, while some students did the minimum, many got excited about personalizing their slides and reflecting their personal interests and personalities. 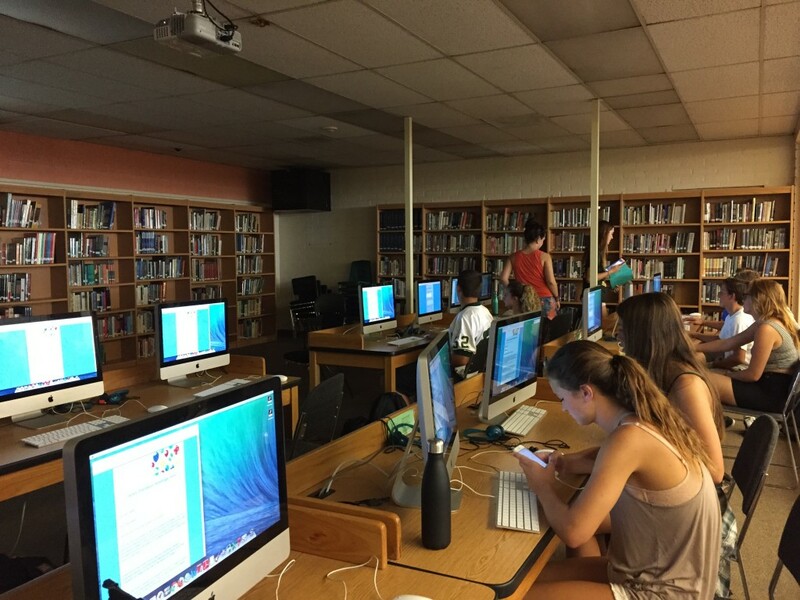 Their teachers then got to hear something about each of their students interests, and, at the same time, saw the power of using the GAFE accounts, Google Classroom, and Google Slides. Click this link to see the full form. 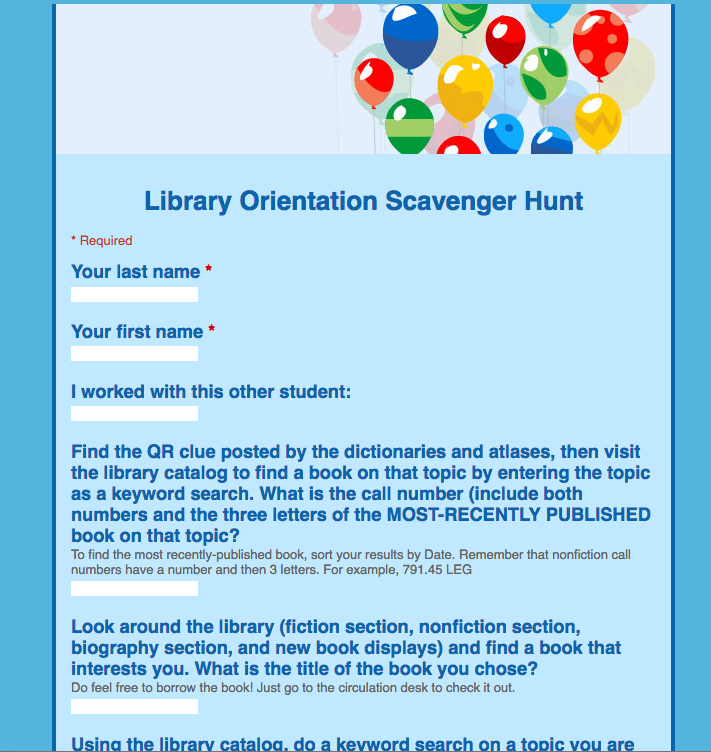 For more information about this activity, see this posting on my library blog about the 2014 orientation, or this one about 2015, or, of course, contact me with any questions. 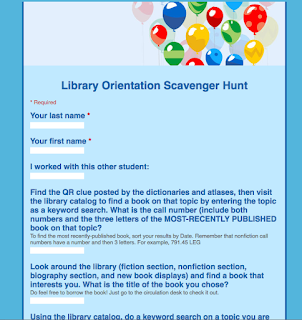 Whatever your priorities are for your library orientations, consider leveraging them to share new concepts, tools, and ideas with both your students and your teachers. So cool. I wish our school in Indonesia can have a library school like yours. Thank you for the article.